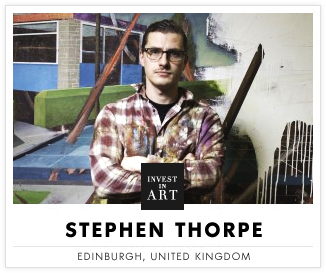 Buying emerging art is the equivalent of investing in frontier market equities. Rather than buying the global names that appear in the big auctions of the best galleries, you invest in the artistic equivalent of Mongolia or Cambodia: the young artists coming out of MA programmes. 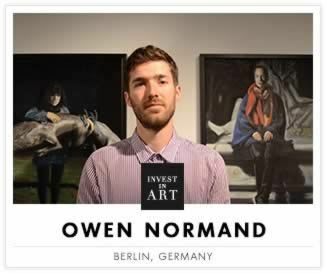 Collecting work by emerging artists is the best way to begin investing in art. Following the huge success of Parts I, II and III of our Invest in Art series, our Chief Curator Rebecca Wilson has chosen 15 new emerging artists of great promise from around the world. "Works by emerging artists have the potential to increase in value and they are also much more affordable than "brand name" artists’ works. Peter Doig made his famous painting, White Canoe (1990-1), while studying at Chelsea College of Art & Design in London. It sold in 2007 at Sotheby's for £5.7 million. 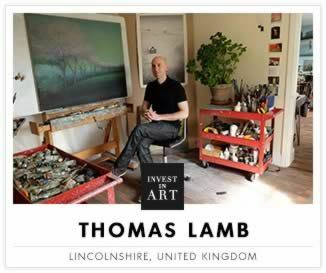 Buying art as an investment might not be important to you but it's still exciting to imagine that the work you are buying could be by a future art star - and that you got there first." Mohammed Sami was born in Iraq and grew up in a country at war, surrounded by constant tension and the horror of daily bombings. The marks of these deep traumas are apparent in his large-scale paintings. 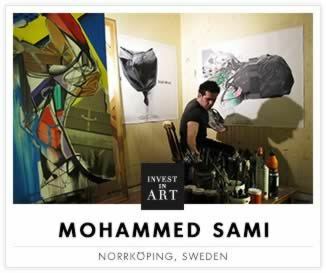 He studied at the Institute of Fine Arts in Baghdad, and in 2007 moved to Sweden, where his life as an artist has begun to flourish. He has had solo shows in the UK, Germany, France, UAE, Syria, Sweden and Iraq, and has sold many works to collectors in the Middle East and Europe. Liam Marc O’Connor has an MFA with Distinction from Swansea Metropolitan University, UK, and was included in Axisweb’s annual survey of top MA graduates. 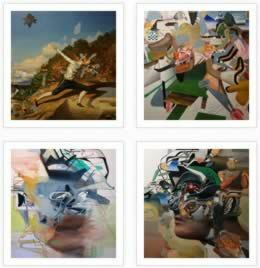 His works often begin as stories which he films, later transferring moments from those moving images onto canvas. Liam has been commissioned by Daimler Chrysler, acquired by corporate collections such as Standard Chartered Bank, and is in private collections in the UK and internationally. 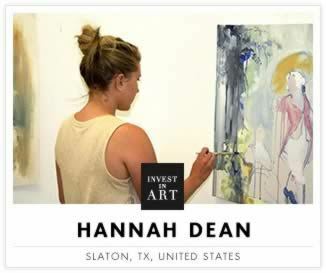 Hannah Dean is one of 40 US artists in New American Paintings' juried 2014 selection of MFA graduates. 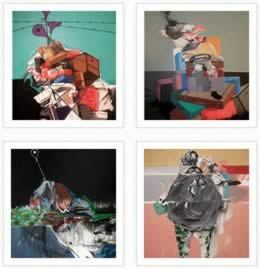 A graduate in Painting from Texas Tech University, she is also a finalist in the Hunting Art Prize 2014. 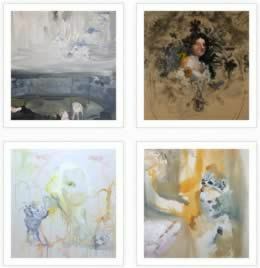 Her ethereal paintings are inspired by what she describes as “the luscious melancholy of Americana and rococo scenes”. Through art historical references and decorative motifs, she constructs in her works a visual language that equates to “the haunts of desire”. 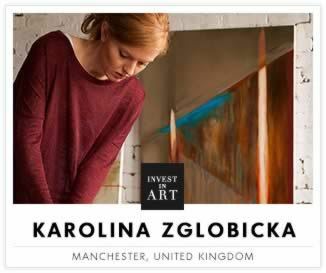 Karolina Zglobicka is a BA Fine Art candidate at Manchester School of Art, UK. Originally from Poland, she describes her paintings as an attempt to “speak in the ultimate foreign language”. Her works combine her background with the new reality she lives in the UK. In each painting she explores the balance between meaning and explanation, vision and gesture, word and unspoken thought. Layering marks and movements, colour and shape, past and future, she also tries to realise her interpretation of paint as a medium. 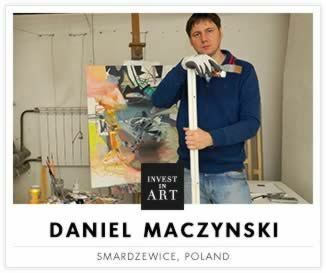 Daniel Maczynski's paintings are characterized by a boldness of form and a distinctive synthesis of landscape and figuration. His works are entirely imagined - he has no interest in using found images or photographs for inspiration - and he tries in each painting to bring together time and space, to capture something both undefined yet specific. 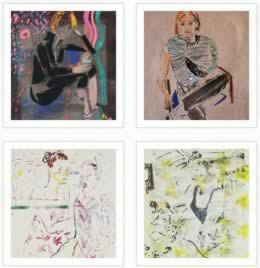 One of his paintings recently set a record at an auction of works by young artists in Warsaw. 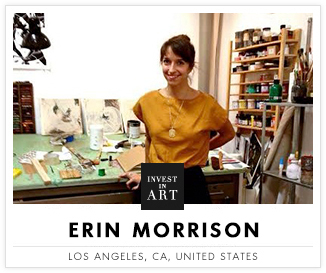 Erin Morrison is a 2014 MFA Painting graduate from UCLA. 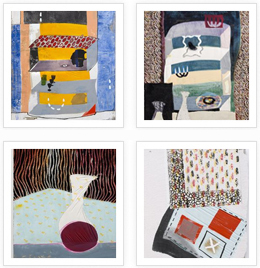 She makes ‘relief' paintings in response to the domestic experience, referencing textiles and the still life. Using materials that speak to a painting-specific lineage alongside commercial architectural materials like gypsum cement, her works are a hybrid of painting and sculpture, abstraction and representation. Taking inspiration from Paul Klee and Sonia Delaunay, she re-examines the possibilities of painting in her work. As she says, "When I make a painting I’m interested in building it, not just applying oil paint to canvas.” Erin is currently in a group show at Samuel Freeman, Los Angeles. 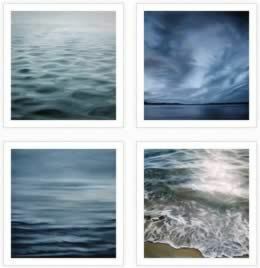 Brooklyn-based Zaria Forman creates ultra-realistic paintings of oceans and icy landscapes using pastels, charcoals and her fingertips. She has a BFA from Skidmore College, NY, and exhibits extensively in galleries across the US and internationally. Her work has been featured in the Netflix series House of Cards, starring Kevin Spacey. In 2012 she led an expedition to Greenland in order to create new works inspired by the Arctic landscape and the dramatic effects of climate change. 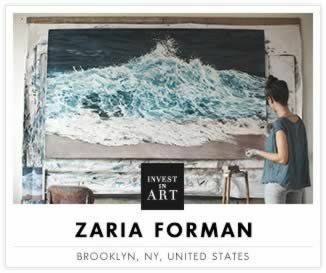 This information serves solely as general information to introduce interested parties to the idea of purchasing art and does not constitute legal, tax, accounting or investment advice. Saatchi Art does not accept any liability for any direct, indirect or consequential damages or losses arising from any use of this information or its contents. Swedish artist Benjamin Björklund started painting at 16, left high school at 17 and spent a year at art school in Gothenburg. He works part time on a psychiatric ward, and the rest of the time he spends in his studio with his dog and rabbit. 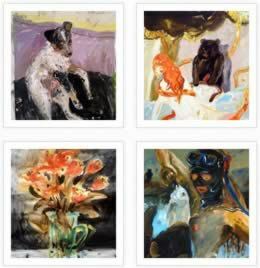 His patients and his animals inform his paintings, as do his favourite artists Lucian Freud and Euan Uglow. 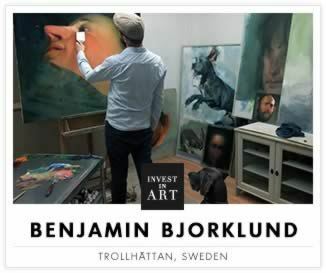 Benjamin’s first solo exhibition was at the Trollhättans Konsthall; he has also exhibited at Liljevalchs Gallery in Stockholm. Blake Daniels’ paintings are hybrids of representation and abstraction, and reference his interest in post-colonialism and often false notions of pure race, with bodies and spaces depicted in distorted ways. 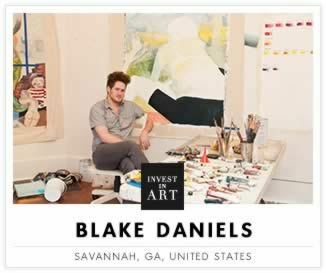 Blake, who lives in Savannah, Georgia, and Johannesburg, South Africa, has a BFA in Fine Arts from the School of the Art Institute of Chicago, where he was awarded the Edward L. Ryerson Fellowship. He has exhibited and lectured in the US, South Africa, Jamaica, Trinidad and Tobago, Canada and the UK. 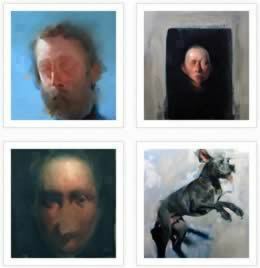 He is featured in an international survey of outstanding young painters, 100 Painters of Tomorrow (Thames & Hudson, 2014). Katarina Janeckova graduated from the Academy of Fine Art in Bratislava, Slovakia, in 2013. Since then she has had several solo shows in Bratislava and Amsterdam, and has been in many groups shows in Berlin, Budapest, Basel, Prague and Bratislava. Her exuberant paintings explore themes of sexuality and nature, and revel in the act of painting itself. The works in her solo show earlier this year sold out. 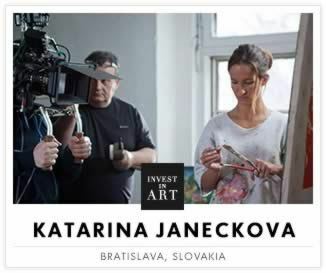 When she is not painting, Katarina is an international wakeboarding champion. 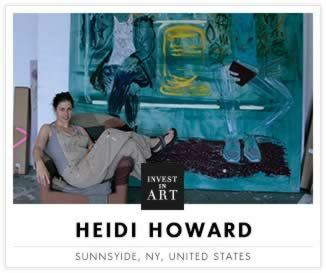 Heidi Howard is a 2014 MFA Painting graduate from Columbia, New York. She decided to become a painter at the age of 17 after reading Edith Wharton’s The House of Mirth in which the heroine Lily Bart is constantly at odds with her surroundings. 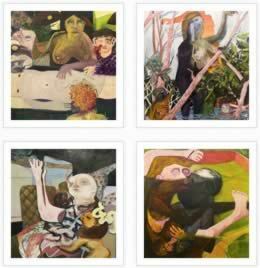 Heidi’s paintings of her close friends, which have been compared to Elizabeth Peyton’s, try to capture not only a person in a specific space but a sense of that person's inner life as well. 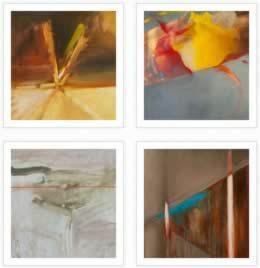 Her artistic process involves taking photographs, editing them on a computer, making drawings, and creating layers of marks, textures and gestures. 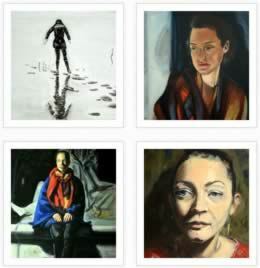 In 2013 Owen Normand won the prestigious BP Portrait Award Young Artist Prize and his painting Das Berliner Zimmer was exhibited at the National Portrait Gallery in London. Owen sold his first painting to the Scottish artist and playwright John Byrne. 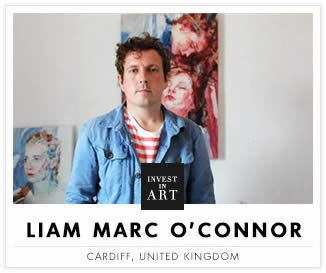 He studied at Edinburgh College of Art and Leith School of Art, and now lives in Berlin. He has had recent shows in New York, London, Lisbon and Edinburgh, and his work is held in private collections in Europe and the US. 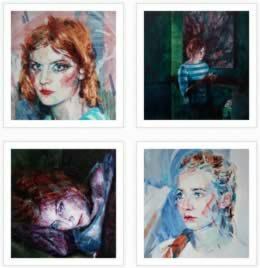 Daniel Mullen was born in Glasgow, Scotland, and has a BFA in Fine Art from the Gerrit Rietveld Academy in Amsterdam where he lives. Paint, pencil, paper tape and unprepared canvas are the tools of his image-making and exploration of spatial awareness and perspective. 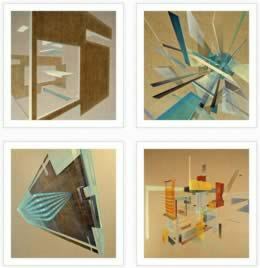 Since completing his studies he has participated in various exhibitions in the Netherlands, Berlin, New York. 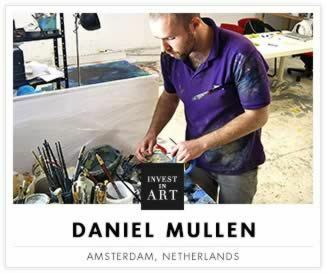 In 2012 Daniel was selected as one of the finalists for a TV show called The New Rembrandt, and he was nominated for the Buning Brongers Prize for Painting. Thomas Lamb is a British artist who received his BA and MA from the Wimbledon School of Art, London. 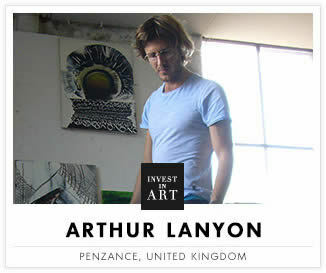 He was awarded the Sainsbury Scholarship in Painting and Sculpture, and the Prince of Wales Bursary for the Arts. 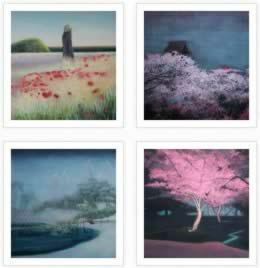 He has exhibited at the Armory Show in New York, the London Art Fair and the Hyogo Museum of Art, Japan. His last solo show, inspired by memories of visits made to Japan and Norway, was at Browse and Darby, London, in April 2014. 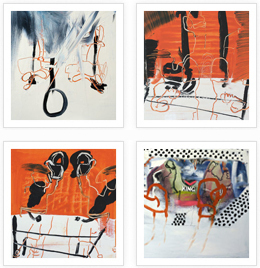 Last year NPR journalist Uri Berlineri invested in a painting from Saatchi Art. 12 months later, it has increased in value by 53%. Read the full story here.